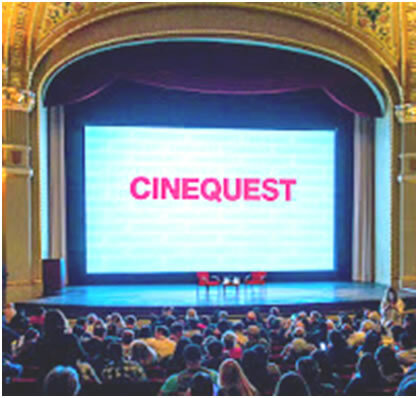 SAN JOSÉ, CA – Each year, one of CINEQUEST’s world’s most life-affirming films receives the coveted KAISER PERMANENTE THRIVE AWARD. This year, on the night of March 7, at the California Theatre in San José, the award was bestowed to CLOWNVETS, a documentary produced, shot, directed and edited by ESTEBAN ROJAS, a Chilean cinematographer who accompanied Dr. Adams, better known as PATCH ADAMS, and a group of American Veteran Soldiers, on a trip to Guatemala, Central America, where, dressed as clowns, visited groups of mental patients in different hospitals with the purpose to make then laugh. Photo courtesy: Patch Adams org. While in medical school, Family Doctor PATCH ADAMS, discovered the importance of laughter in patients, and applied his knowledge on his treatment on suicidal American Veterans, from the Vietnam War, suffering from PTSD (Post traumatic Syndrome). As a physician, he learned that the real cause of depression is loneliness, so he never prescribed depressants to his patients, instead of giving drugs to them, the doctor who believes that “laughter is the best medicine,” taught them to do funny things (As clowns do) and make other patients laugh. PATCH ADAMS founded GESUNDHEIT! INSTITUTE (“Gesundheit” is the German word that is used after a person sneezes (similar to God Bless you) in his home town, where he helps them heal by dressing them as clowns and training them to clown around in hospitals of metal patients and children. 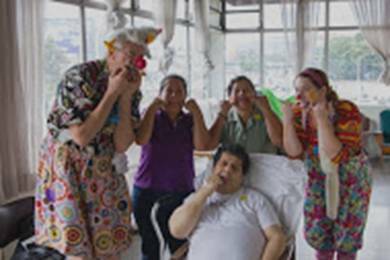 Every year he takes his group of CLOWNVETS in trips to Russia, Guatemala and other countries, where the group visits different hospitals, going from ward to ward making the patients laugh. For over 40 years now, PATCH and his group of volunteers has brought laughter to hospitalized people and children. 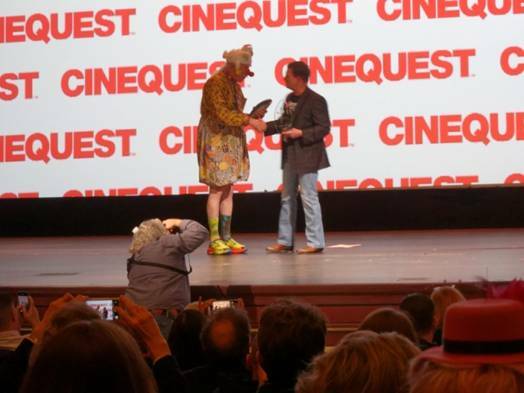 This year, the KAISER PERMANETE THRIVE AWARD EVENT, the KAISER PERMANENTE THRIVE AWARD given by CINEQUEST and KAISER PERMANETE to the world's most life-affirming film, was given to CLOWNVETS, the documentary, based on PATCH ADAMS labor as the founder of the GESUNDHEIT INSTITUTE. It was received by PATCH ADAMS in person. 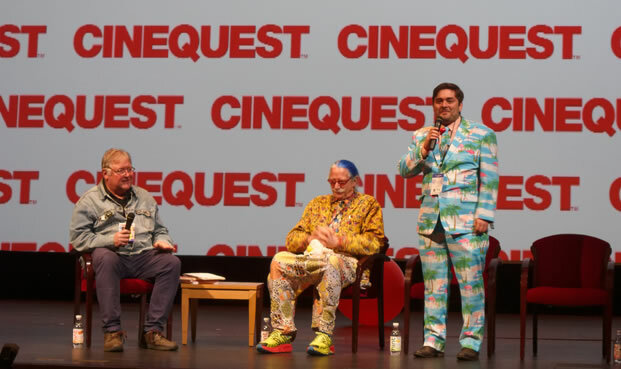 The night event also presented a panel with A CINEQUEST Panelist, PATCH, Director and Producer of CLOWNVETS, ESTEBAN ROJAS, MICHAEL O’CONNOR, Doctor MARK KANE (Ret) and SONIA PAHWA, followed by the showing of CLOWNVETS the documentary, which received an standing ovation when presented. 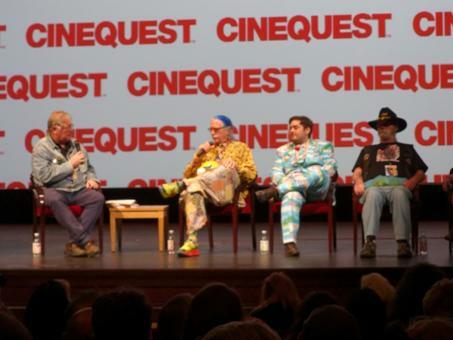 Interrupted by applause and cheers, several times, PATCH ADAMS (who does not like to be called “Doctor Adams”, or called Hunter his real name) told the audience at the California Theatre, that during forty years he has brought six thousand people from fifty different countries on his trips. He has six trips a year and has had thirty trips to Russia (another country he visits) "We visit hospitals, prisons, orphanages, organizations for people who are disable in some way.” he said. "I was born a World War II baby. My family lived in military bases outside the U.S. My father fought in World War II, and that destroyed his career. When he came back from Korea, he was a different person. He drank and smoked and he had to life in him. He thought that I was a “sissy” boy because I was not the tough boy that he wanted as a son, and he treated me very bad. But a week before his passing, (when I was nine year old) he told me that he was sorry for all the things that he had said to me, but that the war had changed him. I became a warrior when I was sixteen, I came back to America, and I have been causing trouble ever since.” (laughter is heard followed by applause). Mr. O’Connor explained to the audience the difference a Vet feels going to a hospital to play a clown for suffering children, after having previously been in battle. “It is amazing”, he said.”Without wearing a costume (as a clown) it would be much harder to walk into a place like that. The truth is that we are so locked into words, into language. I think that it would be easier if we could just learn to communicate with people by instinct, like animals do.” At the end of his short talk, he invited the people in the audience to come into the trips with Adams and suggested they go into his website: www.patchadams.org to learn how they can help the organization.